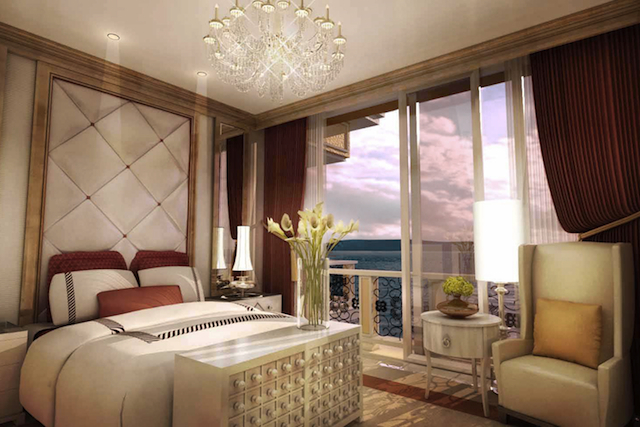 Set to open in early 2013, this is the first look at the luxurious Grand Suite at the MGM Grand Ho Tram Beach in Vietnam. If you are searching for an opulent beach side retreat in Southeast Asia, then you’ll want to book this lavish suite — with its gorgeous chandeliers, sumptuous linens and sweeping ocean views. At a spacious 99 square metres, or 1066 square feet, the Grand Suite is fit for a king and queen. Stay tuned to 9to5 Travel for upcoming opening packages to this impressive resort.